Marina Nazario/Business InsiderThe ShackBurger in all its glory. 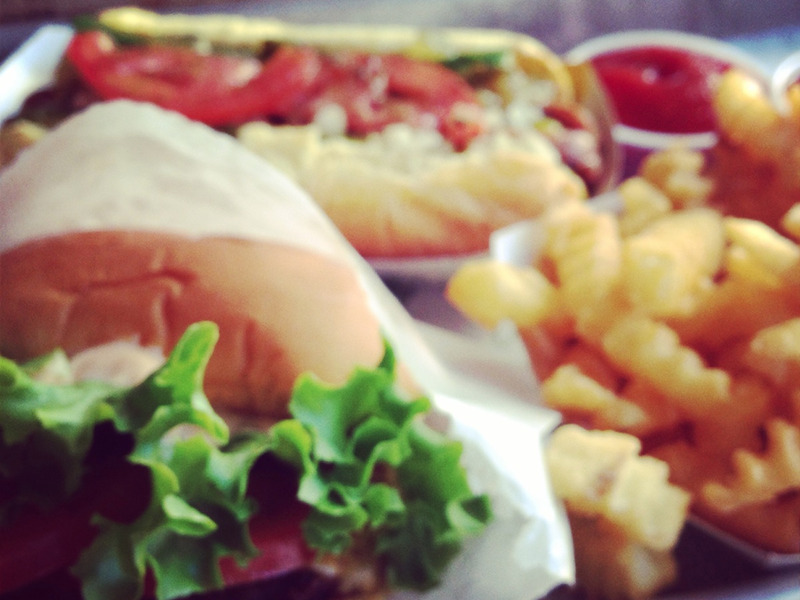 Grub Street just named Shake Shack’s ShakeBurger the best burger in New York City. My first thought after reading this was, really? A burger from a fast casual chain just beat out the many gourmet burgers you can get at New York’s many high-end restaurants? At that time, I knew absolutely nothing about the NYC food scene. I hadn’t heard about Minetta Tavern’s or the Spotted Pig’s lauded gourmet burgers, or the classic cheeseburgers available at institutions like J.G. Melon, P.J. Clark’s, or Corner Bistro. Business Insider / Sarah SchmalbruchThe Instagram I took of my first ShackBurger. The first bite I took of that burger is something I’ll never forget. Maybe it’s because I’m a purist when it comes to food. Or maybe it’s just the delicious simplicity of the Shackburger’s soft potato bun enveloping a thin, freshly ground beef patty that’s blanketed in cheese, lettuce, tomato, and a creamy secret sauce. Because the thing is, when I order a cheeseburger I’m expecting something very specific. I’m not expecting a pretzel bun or some type of ciabatta roll. I’m not expecting blue cheese or Roquefort, or radishes, or pickled carrots, or truffles. That’s exactly what Shack Shake does with the ShackBurger. It’s the basics presented in the form of a perfectly sized, perfectly tasty burger. 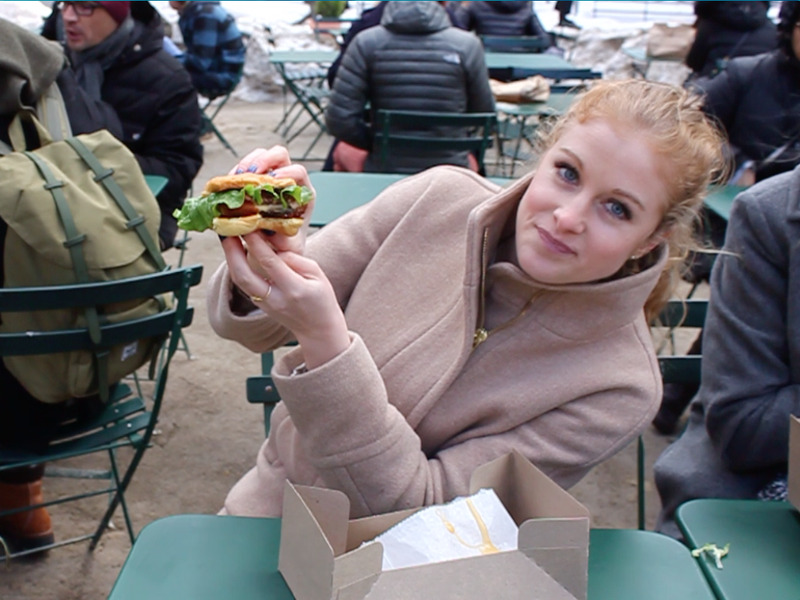 Sarah Schmalbruch / INSIDERMe at NYC’s first Shake Shack. I’m holding the shroom burger, not the ShackBurger, though. Yes, you can find good, basic burgers at diners and pubs around the city, but they don’t have Shake Shack’s signature ShackSauce. Plus, their ratios are often off. They either have too much doughy bun or too much heavy meat. But in one bite of the ShackBurger you get a delicious mix of all the burger’s parts. Not too much, not too little, but just right. 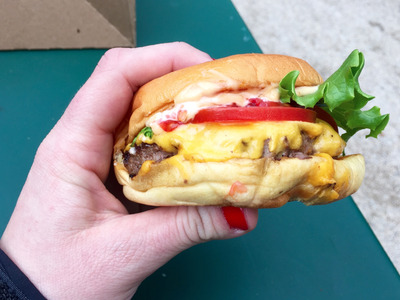 It’s hard to find an NYC burger that checks all these boxes and has the cult following that ShackBurger has developed over the 12 years of its existence. So thank you Grub Street, for honouring a burger that stays true to its burger roots, instead of some gourmet burger that’s trying to redefine the burger — which needs no redefining at all.